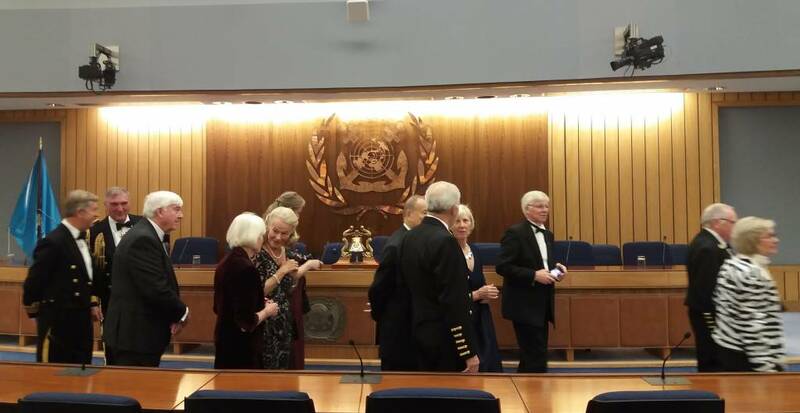 Members enjoyed an unparalleled opportunity to dine in the splendour of the UN’s International Maritime Organization. The evening included a tour of the IMO’s building with its impressive conference hall, array of fabulous gifts from member states, exceptional hospitality and terrace with a commanding view of the Palace of Westminster. Rear Admiral John Lippiett entertained everyone with his engaging tales of life aboard the Mary Rose and by contrasting the Livery Companies of the sixteenth century with those of today.